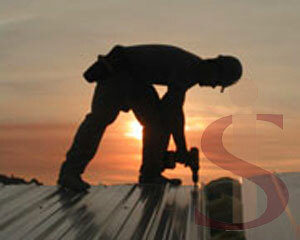 We are a Gujarat based company engaged as a reliable Roofing Contractor. 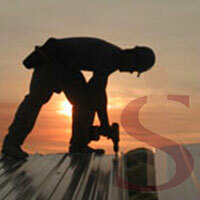 We undertake a wide range of Contractor ranging from commercial roofing to industrial roofing to residential roofing. Owing to our rich experience, we undertake the new construction, reroofs, roof maintenance, or roof repairs. We are backed by a team of skilled and experienced professionals who examine every aspect of the project and provide the best solution. We use different products to make a great roof for our clients. We also have energy efficient roofing that offers high reflectivity. Our efficient roofing systems have set the standard for single-ply roof reflectivity leading to better energy savings. We have taken many projects and have excelled in our services. Our Service is demanded all across the country and we provide our services in Gujarat, Assam, Bihar, Gujarat, Haryana, Meghalaya, Mizoram, Nagaland, Tamil Nadu, and many more. We hope that you consider us at Roofing for your next metal roofing project. We are roofing contractor experts and have done many such projects. If you have any questions, don't hesitate to contact us!